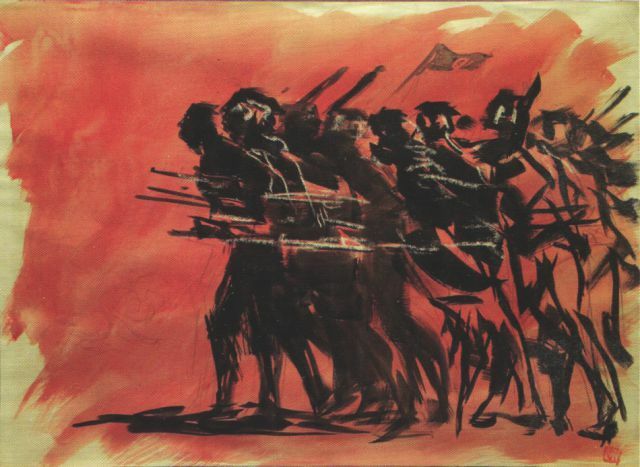 Bangladesh Liberation War (1971) by Bangladeshi artist Zainul Abudin, who helped form the Faculty of Fine Arts at Dhaka University. Western art history – or at least mainstream Western art history – really does very little to address the artistic traditions of non-Western countries. Many people find this perfectly acceptable, arguing that Western art history is about Western countries and shouldn’t have to address anything beyond that. For me, there are three problems with this point of view that should push us towards a more inclusive art historical mainstream. First of all, Western art history very much positions itself just as “art history”, without qualifying itself as specifically “Western”, and is often assumed to be a more or less universal study of the subject. Secondly, Western countries do not just contain people whose roots lie only in these countries. Its inhabitants and its artists belong to hundreds of different cultures, and always have. 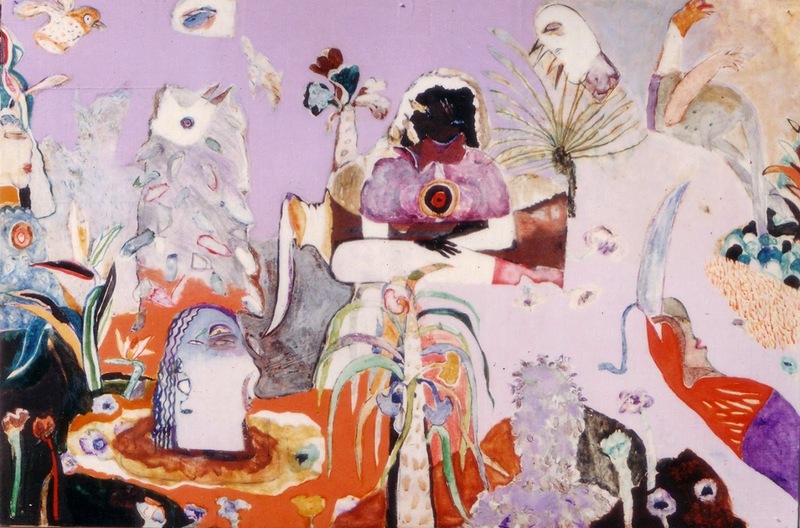 Thirdly, white Western art historians do actually engage with non-Western art, but often do it in a way that does not take into consideration their own position as a white person. To be able to understand art, and art history, we therefore need to engage with a study of art that is as inclusive as possible. Uki by Bangladeshi artist Quamrul Hassan, who also designed the national flag. Saying this, however, we need to be careful about what this “inclusivity” looks like. It should not look like white art historians talking about non-Western art with little or no awareness of their part in a historically racist power dynamic that privileges their voices, and that allows them to appropriate and steal from other cultures with little consequence. It should not look like Western art museums taking or displaying stolen artifacts, or like art museums taking non-Western artifacts and decontextualizing them to put them into a Western art historical context. As white Western art historians, we need to be mindful of how our status may be privileged, and of how much more seriously our voices may be taken. So what should inclusivity in the art historical world look like? It should look like inclusivity not only of non-Western art but of non-Western people. It should look like Western art historians researching, talking and writing about non-Western art in a way that is aware and mindful of cultural context. It should look like major art historical institutions employing and listening to non-Western artists and art historians. It should look like drastically reformulating our concepts of art and artistic genius, which today applies mainly to white male artists. I’ve had experiences in my professional life where I’ve had to confront this problem head on. I’ve often worked with non-Western art, and have been assigned tasks where I’ve been represented as the authoritative figure on the subject. This includes works that have long and important histories and meanings that I cannot understand due to my position as a cultural outsider. These situations have highlighted to me how easy it is to assume that, as a white person, I am automatically entitled to represent another culture’s art, even when I have only researched the topic for a few months. In other situations, I’ve experienced artistic institutions where People of Colour are completely pushed aside and remain almost invisible when it comes to representation. White artists remain vastly overrepresented in Western art museums, university courses and history books. The way that they’re represented differs, too – white artists are the geniuses of history, the innovators, and the basis of our understanding of art. This is why, ultimately, being inclusive of non-Western art means being inclusive of non-Western art historians and artists. Art historical institutions, just like institutions of film, music and literature, need to strive towards diversity amongst their employees and consultants in a way that isn’t just tokenistic. Your question then highlights a direction that Western art history needs to take. Western art history needs to consider all artistic traditions, and move beyond a canon that places white male artists at the forefront of the historical narrative of art. 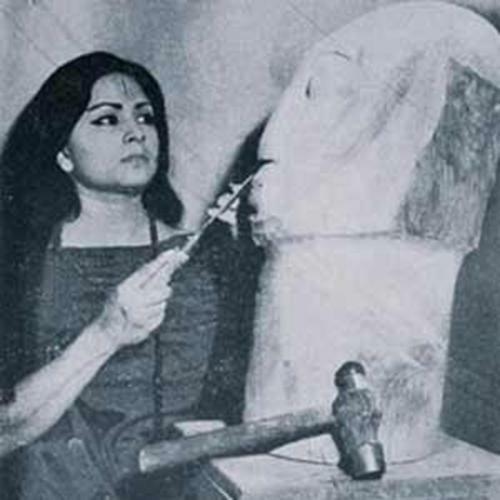 Being inclusive of Bangladeshi art, however, does not mean repeating past patterns of decontextualizing and removing its artifacts, excluding Bengali art historians and speaking as unchallenged authorities on the subject. It means being mindful and aware of cultural context when we write and speak about Bangladeshi art, and it means listening to Bangladeshi artists and art historians and being inclusive of their voices.